Nottinghamshire will have to look elsewhere for a late-season overseas player after Quinton de Kock withdrew from his spell at Trent Bridge. The change came at the request of Cricket South Africa and leaves Notts with a void for four County Championship matches, including home fixtures against Yorkshire and Essex at Trent Bridge in September. If there's something that can be done, then we'll explore it, but there isn't a long list of available overseas talent. 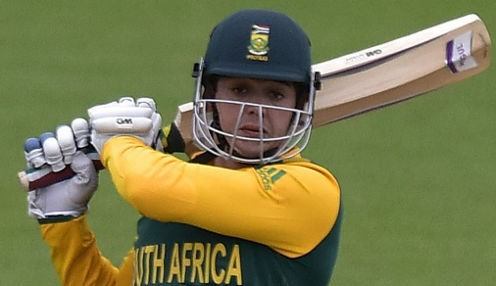 "We are disappointed because Quinton is a high-quality player and we would have been stronger with him in the side, but he has a central contract with Cricket South Africa and there is always some risk when you sign a player of his profile," said the club's director of cricket Mick Newell. "We would like to strengthen the team for the remaining red-ball fixtures and will consider the options that are out there, but it's a particularly tough market at this stage of the season. "If there's something that can be done, then we'll explore it, but there isn't a long list of available overseas talent." De Kock has been coping with a finger injury for some time, but continues to play internationally and has been promoted to captain for the final two one-dayers of the series in Sri Lanka as Faf du Plessis is ruled out. Nottinghamshire began the season with Ross Taylor as overseas player in the Championship. However, the deal for the New Zealander - who scored 506 top-flight runs at an average of 33.73 - was only for the first eight matches. Notts are 1212/1 to win the T20 Blast title this summer, with Worcestershire 3/1 and Surrey 1212/1.